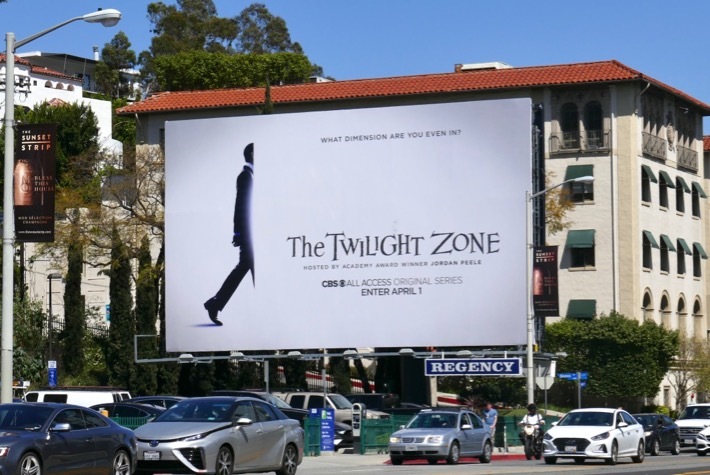 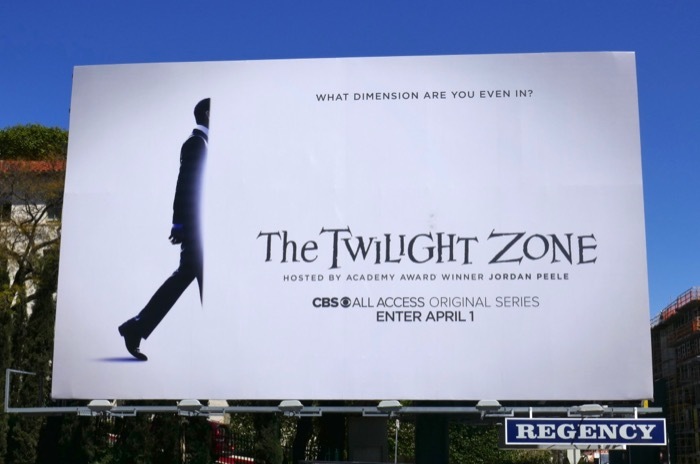 In a world filled with remakes, reimagining and reboots, this April it's time to re-enter The Twilight Zone courtesy of CBS All Access. 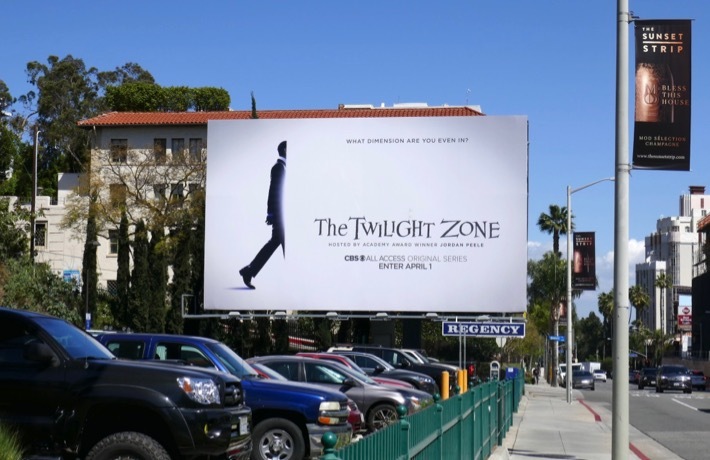 Rod Sterling created the original sci-fi anthology series in 1959 and ran for five seasons in black and white until 1964. 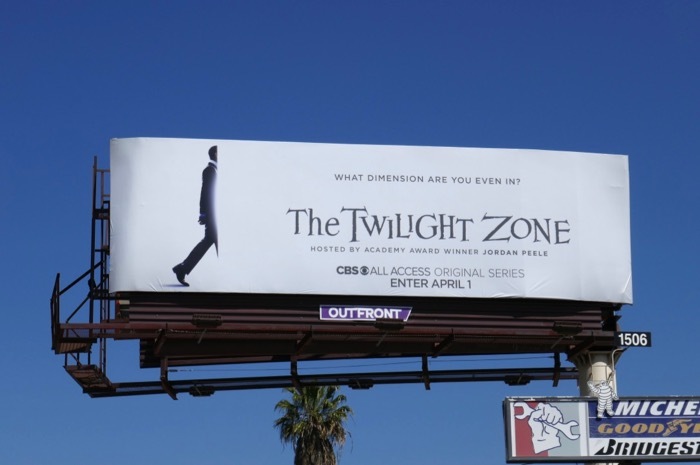 The show's episodes of suspense, science fiction and the supernatural featured ingenious and bizarre concepts about creatures attacking airplanes at 20,000 feet, ominous hitch-hikers, mind-reading evil children, alien invaders, time travel and alternate dimensions, and more mind-bending stories besides. 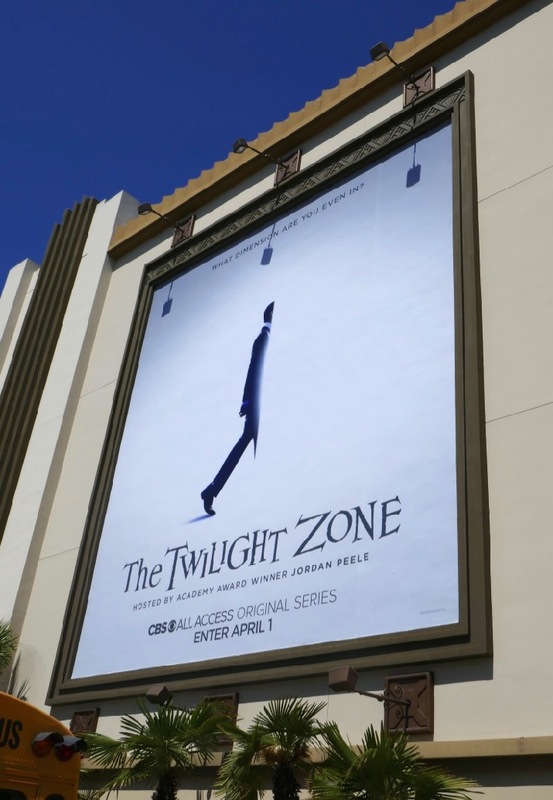 Over the years the concept has been revived two other times from 1985 to 1989 and from 2002 to 2003, also spawning a 1983 feature film of the same name, and this third incarnation will be hosted by the current master of a new generation of horror, Jordan Peele. 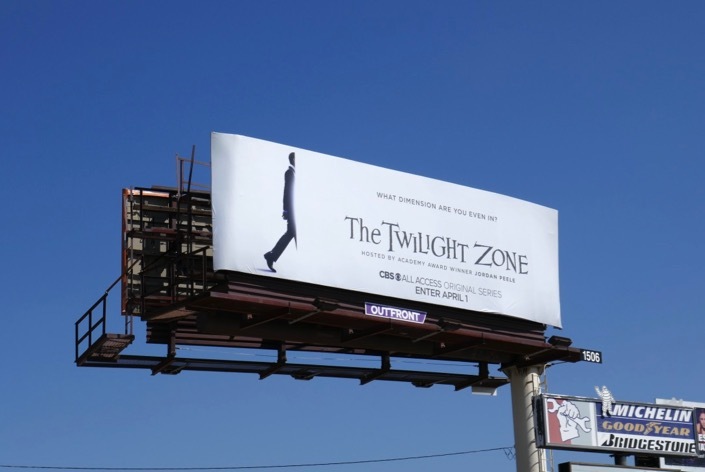 New it's time to enter a new dimension of stories, once again holding up a mirror to society and exploring the human condition, telling all-new tales for a modern audience. 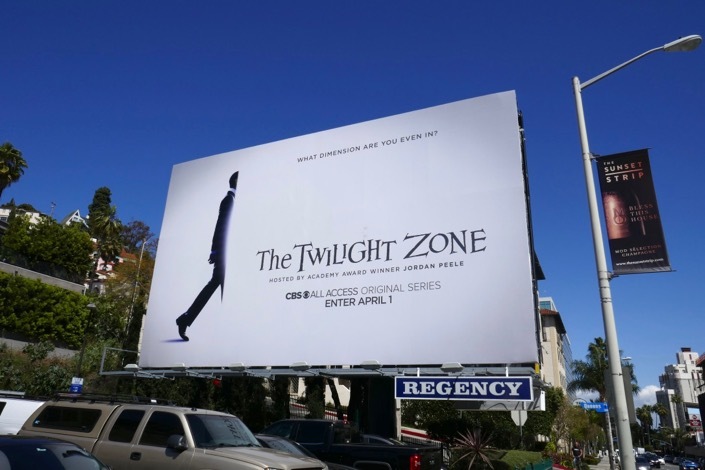 These intriguing series launch billboards were photographed along Highland Avenue, 3rd Street and the Sunset Strip on March 28, 2019. 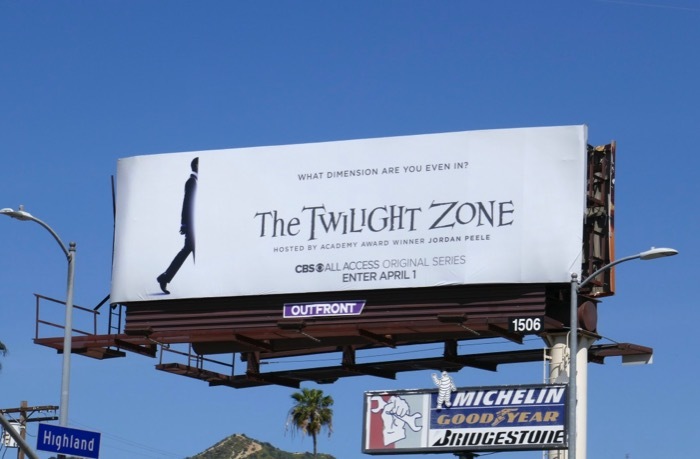 It may feel like déjà vu to revisit The Twilight Zone again, so let's hope there are still fresh ideas to explore and entertain and we don't feel like we've seen it all before, in this dimension or on some other plane.